A classic beauty! 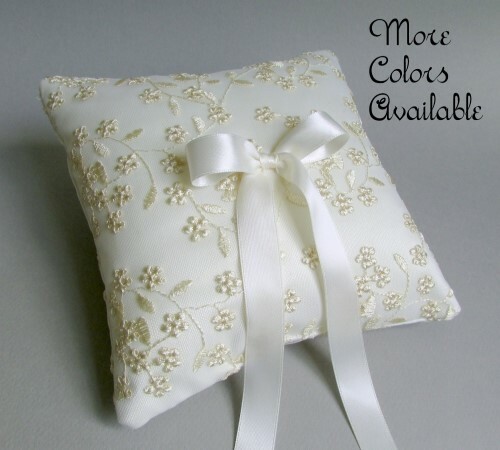 The pretty ring bearer pillow begins with your choice from 7 colors of satin. 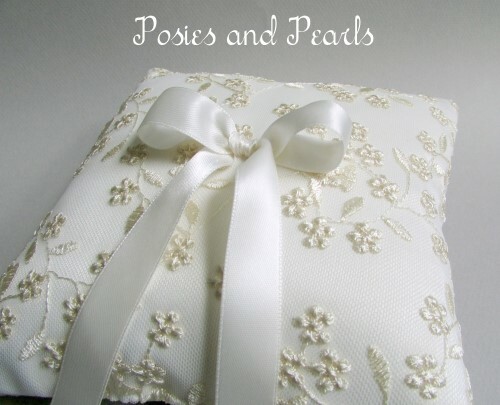 Elegant ivory lace, embroidered with a lovely floral pattern, is layered over top. 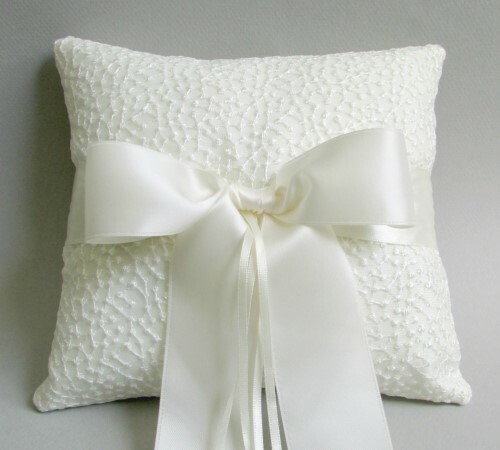 A simple satin bow is secured to the center of the pillow so that you can securely attach your rings. 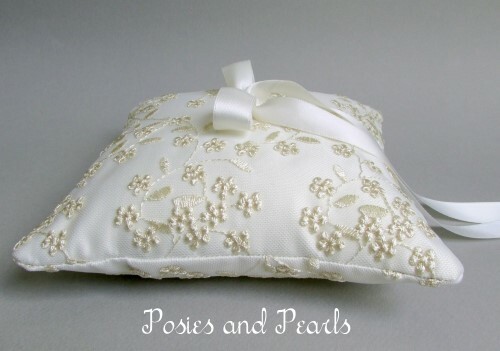 You are selecting the color of the satin fabric which goes underneath the lace on your pillow. The lace and bow for all options will be ivory. 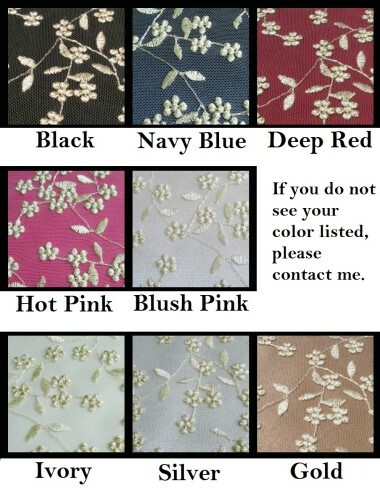 If you would prefer white lace or a different color of satin, please contact me before purchasing and I will be happy to help. 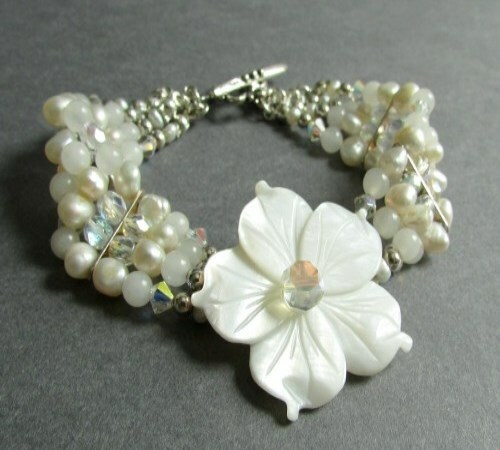 CUSTOM ORDERS: Like this style but prefer another color scheme? Need additional items? 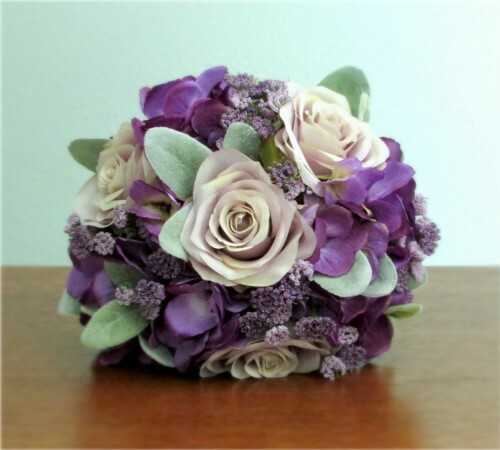 I can create coordinating pieces for each of your attendants including bridal and bridesmaid bouquets, corsages, boutonnieres, flower girl baskets, and jewelry. Contact me and I will be glad to assist you. 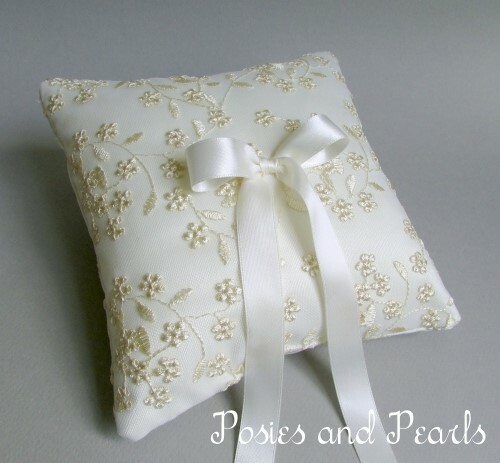 Lace is on both the front and back of the pillow. Measures 7 inches x 7 inches.